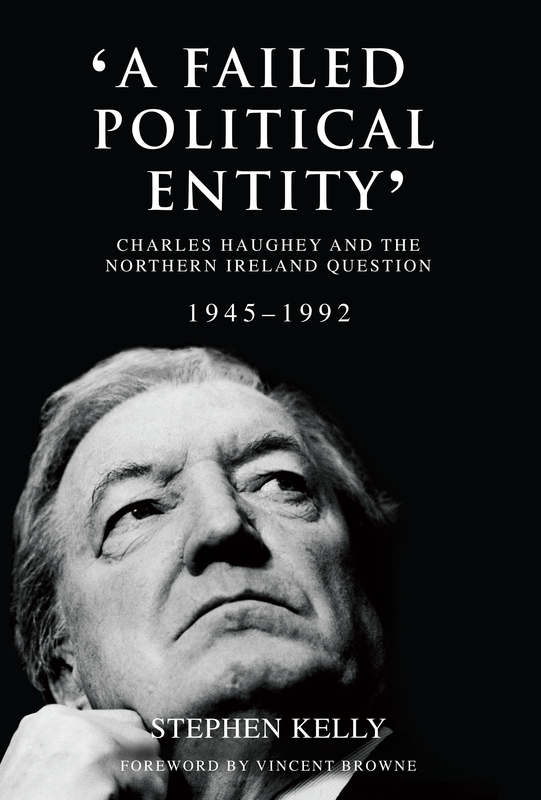 In ‘A Failed Political Entity’ Stephen Kelly uncovers the complex and stunning motives that underlie Charlie Haughey’s fervent attitude towards the political and sectarian violence that was raging across the border in Northern Ireland. Charles Haughey maintained one of the most controversial and brilliant careers in the history of Irish politics, but for every stage in his mounting success there was one issue that complicated, and almost devastated, his ambitions to lead Irish politics: Northern Ireland. In ‘A Failed Political Entity’ Stephen Kelly uncovers the complex motives that underlie Haughey’s fervent attitude towards the political and sectarian violence that was raging across the border. Early in Haughey’s governmental career he took a hard line against the IRA, leading many to think he was antipathetic towards the situation in Northern Ireland. Then, in one of the most defining scandals in the history of modern Ireland – The Arms Crisis of 1970 – he was accused of attempting to supply northern nationalists with guns and ammunitions. Whilst his role in this murky affair almost ended his political career, the question of Northern Ireland was ever-binding and would deftly serve to bring Haughey back to power as taoiseach in 1979. Through recent access to an astonishing array of classified documents and extensive interviews, Stephen Kelly confronts every controversy, examining the genesis of Haughey’s attitude to Northern Ireland; allegations that Haughey played a key part in the formation of the Provisional IRA; the Haughey–Thatcher relationship; and Haughey’s leading hand in the early stages of the fledgling Northern Ireland peace process. Stephen Kelly is Lecturer in Modern History, Department of History and Politics, Liverpool Hope University. He holds a 2016-2017 Archives By-Fellowship from Churchill College, Cambridge University and the John Antcliffe Memorial Fund Grant, 2016-2017. He has published two monographs Fianna Fáil, partition and Northern Ireland, 1926-1971 (Irish Academic Press, 2013) and A conservative at heart? The political and social thought of John Henry Newman (Columba Press, 2012), a jointly edited collection Frank Aiken: Nationalist and Internationalist with B. Evans (Irish Academic Press, 2014) and numerous peer-reviewed articles.